In one, the president is shown hugging and kissing an Israeli army watchtower built into a border separation wall. 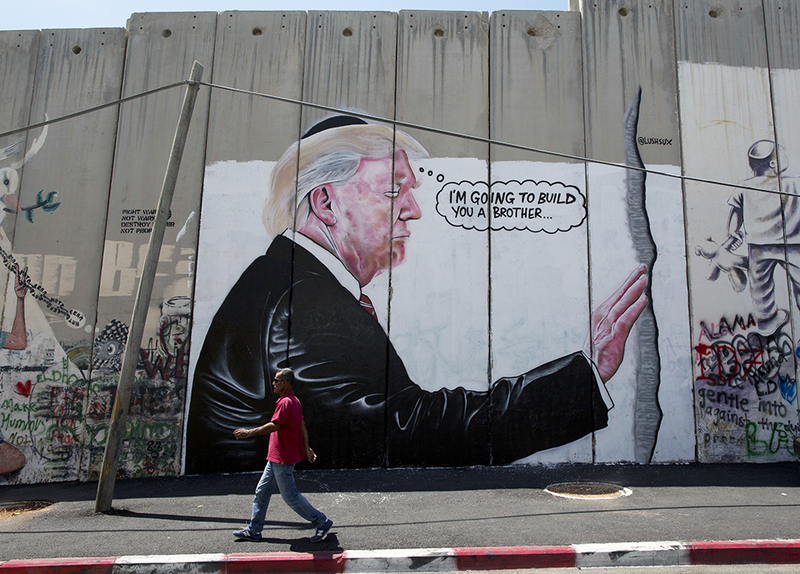 BETHELEHEM, West Bank — Two murals showing an oversized President Trump appeared Friday in Israel’s West Bank, just yards from where the elusive artist Banksy decorated a hotel earlier this year. The new murals resembling Banksy’s earlier art popped up on the edge of Bethlehem, the Palestinian city where the border separation barrier largely consists of a wall of towering slabs of concrete. 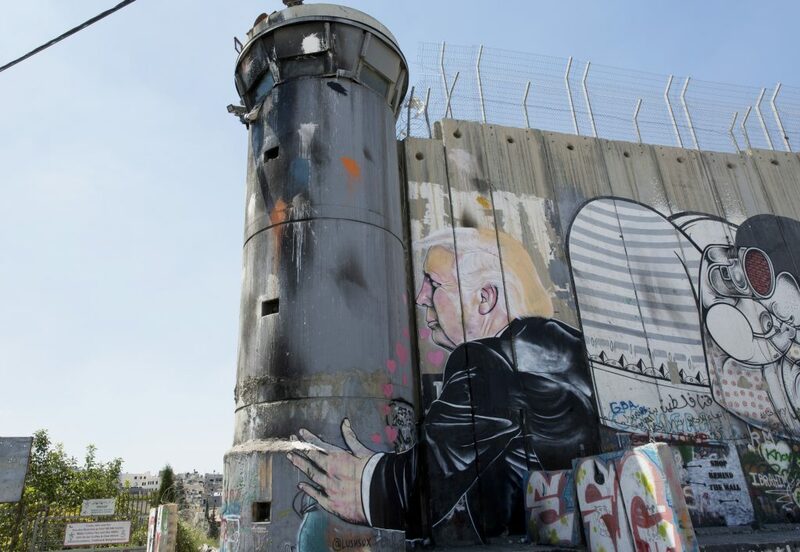 In one scene, Trump is shown hugging and kissing a real Israeli army watchtower built into the wall, as his left arm reaches around the tower. 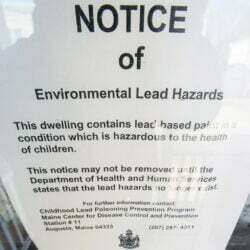 Little pink hearts flutter from Trump’s mouth. In another drawing, Trump is depicted wearing a Jewish skullcap and placing a hand a wall – a scene taken from the U.S. president’s May visit to Jerusalem’s Western Wall, the holiest site where Jews can pray. A cartoon “thought bubble” next to him says, “I’m going to build you a brother,” a possible reference to Trump’s plans to build a wall between the U.S. and Mexico. It’s not clear if the new murals are indeed the work of Banksy. The nine-room hotel was decorated with Banksy’s trademark political murals, including one in “Banksy’s Room” that shows a masked Palestinian and a helmeted Israeli soldier in a pillow fight. Banksy has made previous forays into the Palestinian territories. In one secret visit, he drew a painting of a girl pulled upward by balloons on the barrier facing the hotel. 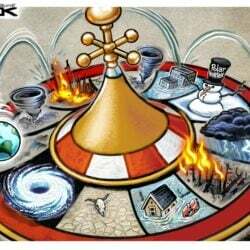 Last year, he is believed to have sneaked into Gaza to draw four street murals, including one on a metal door that depicted the Greek goddess Niobe cowering against the rubble of a destroyed house. The painting, titled “Bomb Damage,” was drawn on the last remaining part of a two-story house that was destroyed in the 2014 war between Israel and Gaza’s Hamas rulers. Israel began building the barrier a decade ago, at the height of an armed Palestinian uprising, saying the divider is needed to keep suicide bombers and gunmen from entering Israel. Palestinians say the barrier, which slices off about 10 percent of the West Bank, amounts to a land grab. Israel captured the West Bank, Gaza and east Jerusalem in 1967. Several U.S.-led Israeli-Palestinian attempts to negotiate the terms of a Palestinian state on these lands have failed. Trump said early on in his term that he would try to broker a deal, but has not offered a way forward.